Chrysler is recalling certain model year 2013 Town & Country and Dodge Grand Caravan vehicles manufactured June 11, 2013, through June 12, 2013. The occupant restraint control module (ORC) has incorrect software installed which may adversely affect air bag deployments in collisions. Thus, these vehicles fail to conform to the requirements of Federal Motor Vehicle Safety Standard No. 208, "Occupant Crash Protection" and No. 214, "Side Impact Protection." An air bag that does not deploy, or deploys improperly, may increase the risk of injury. Got a Lemon Town & Country? 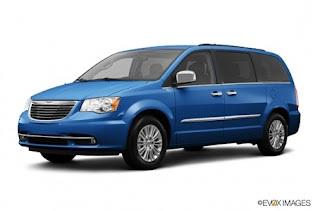 Want a New Town & Country or Your Money Back?